We are thrilled to announce that in April 2018 we will be back with our second season, "The World of Henry Cowell." 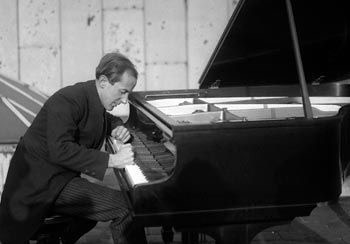 Growing up in San Francisco’s Chinatown, Henry Cowell was a prolific composer who wrote nearly 1,000 compositions over his lifetime. As a child, he absorbed music from around the globe, hearing Chinese opera before he ever heard Puccini, as well as Tahitian and Japanese traditional music, and he became one of the earliest proponents of studying music of non-Western cultures. He was a lifelong autodidact and invented compositional techniques still in wide use today, including the cluster chord, "string" piano, and his "rhythm-harmony" system for correlating rhythm with the mathematical ratios of the overtone series. A natural connector and impresario, Cowell edited books, founded musical organizations, and promoted the work of other composers, building the image of what the world would come to understand as "American music."